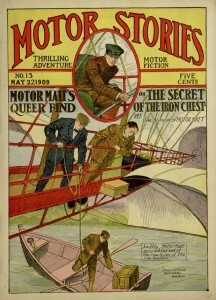 Another Motor Stories adventure is now available thanks to Distributed Proofreaders and our Digital Library. 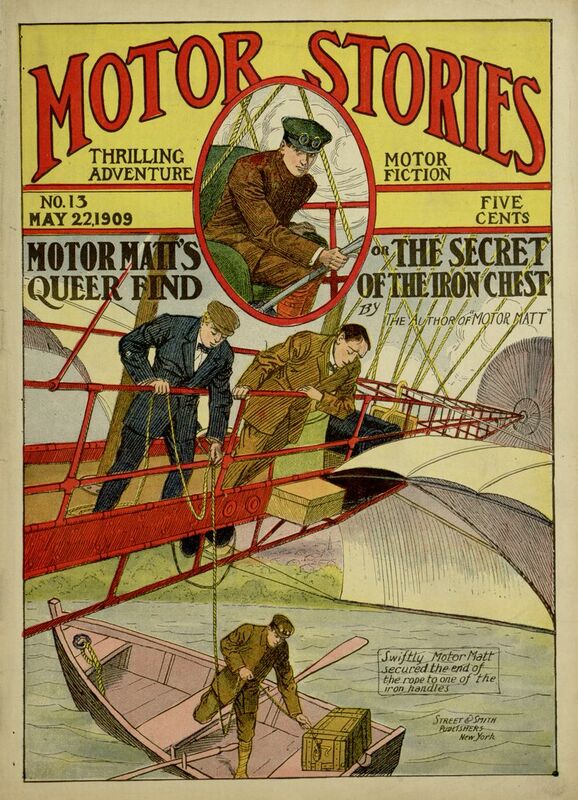 In Motor Matt’s Queer Find; or, The Secret of the Iron Chest, number thirteen in the series, Matt and his friends become entangled in yet another dangerous situation, this time in New Orleans. Interestingly, while past supernatural occurrences in the series have been explained away scientifically, this adventure forces Matt to confront some things that simply don’t fit with his rational worldview. As usual, the entire adventure can be read online (or downloaded in eBook format) through Project Gutenberg.